No minimum commitment. Hosted Solution. We have customized the Porta Bridge Conferencing module to work under our hosted PBX services. It will be added under your Porta Billing Services tab just like your PortaUM service. We create a separate product with customized tariff for the Porta Conferencing service. 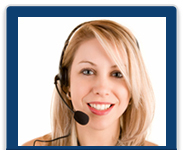 We recommend our Premium VoIP routes. We can provide a turnkey solution with T1/PRI circuit direct to enterprise customer premise in most major US locations for Quality of Service (QoS). Incoming faxes on select did rates centers are automatically converted into a pdf and sent as an email. We will answer your questions and help you decide which plan will work the best for your needs.